In recent years, we have been seeing more and more cases of malignant mesothelioma where the victim did not necessarily have direct contact with traditional sources of asbestos but did have contact with talcum powder. It is believed the talcum powder contained asbestos, and this is due to a variety of sources. As discussed in a recent news feature from the Montgomery Advertiser, natural talcum powder has been shown to contain asbestos in some cases. Talc is a mineral that is made up of magnesium, silicon, hydrogen, and oxygen. While many people think asbestos is man-made, it is also a mineral and is also made up largely of silica. It also formed in the Earth in the same conditions and locations as talc and vermiculite. 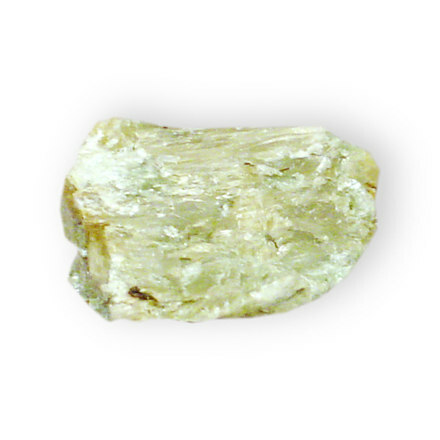 Vermiculite has also been shown to contain detectable and dangerous levels of asbestos. As our Boston asbestos exposure lawyers have seen in numerous cases, the makers of talc and vermiculite actually went so far as to claim their products were safe alternatives to asbestos, while knowing full well that their products contained deadly asbestos fibers. The reason they did this was because they were making a lot of money and they knew that it would take between 20 and 50 years for most victims to develop symptoms of malignant mesothelioma. By the time they notice the symptoms and go see a physician, they are normally told the cancer is in a very advanced stage and there is not much time left for the victim. When people are using the asbestos talcum powder on themselves, and more often than not their children, they will inhale the deadly fibers, which become embedded in the protective layer of tissue known as the mesothelium. This is why the cancer is known as mesothelioma. As a result of a series of asbestos injury lawsuits where the asbestos exposure was proven to be due to breathing in talcum powder, now companies are actually selling asbestos-free talcum powder for the most part. There is a ban on asbestos containing talcum powder that has been in place for quite some time, but as we have seen in the industry in the past, there are ways around the ban, though this may be harder due to recent legislation passed by congress and president Obama that gives the United States Environmental Protection Agency (EPA) authority. However, despite the use of talcum powder that actually does not contain asbestos, we are seeing that there might be a link between this pure form of talcum powder and ovarian cancer. Researchers believe that this talcum powder actually contains a carcinogen that is responsible for causing the ovarian cancer in some victims. One of the biggest uses for talcum powder is to prevent diaper rash and therefore the powder is regularly coming in contact with the genital area in female children. There is a distinct possibility, according to some researchers, that this can cause ovarian cancer later in life. For that reason, they are recommending using synthetic powder or non-talcum based powder in diapers instead of natural talc.